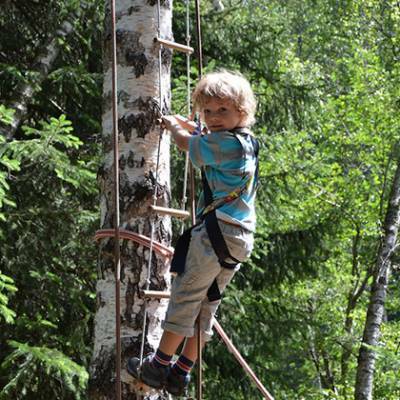 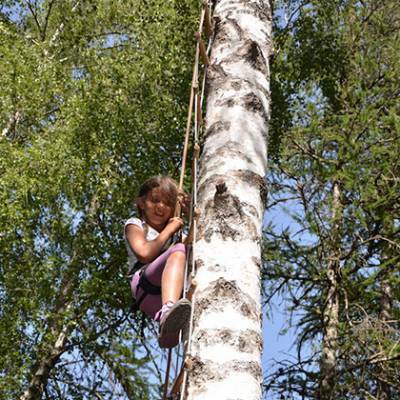 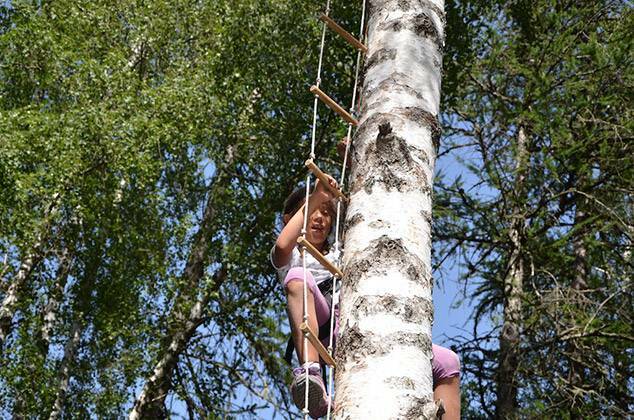 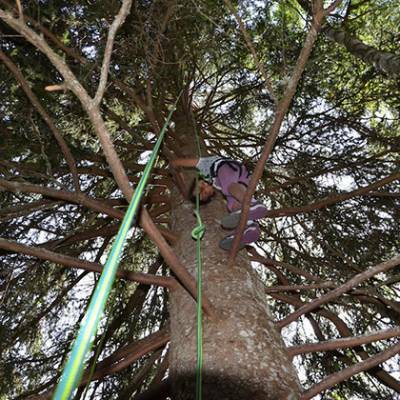 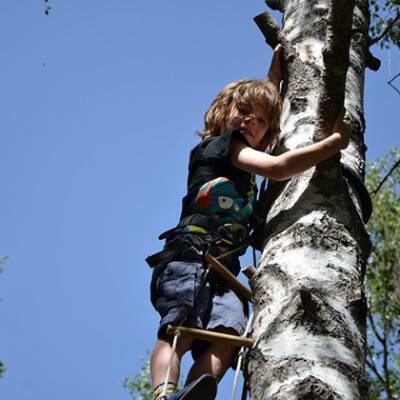 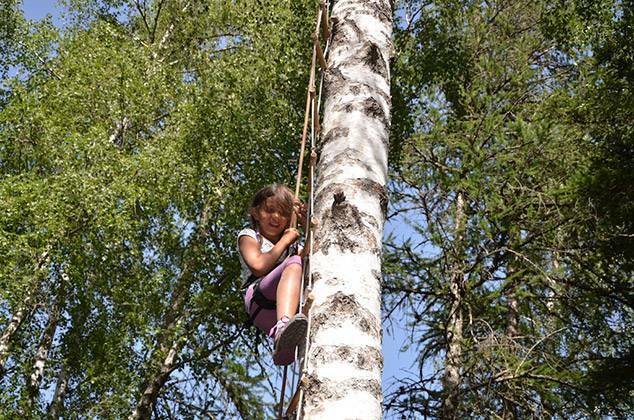 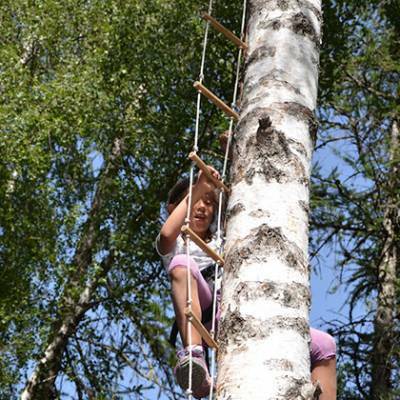 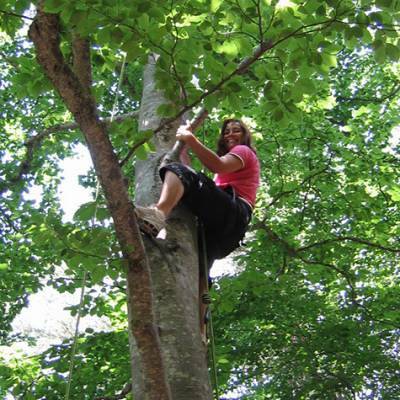 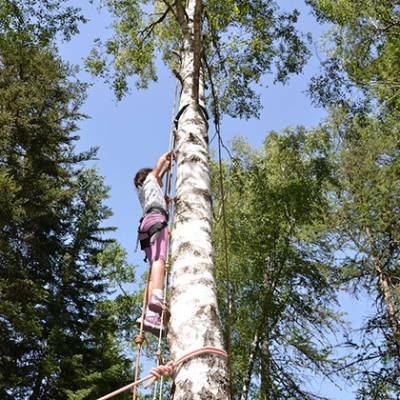 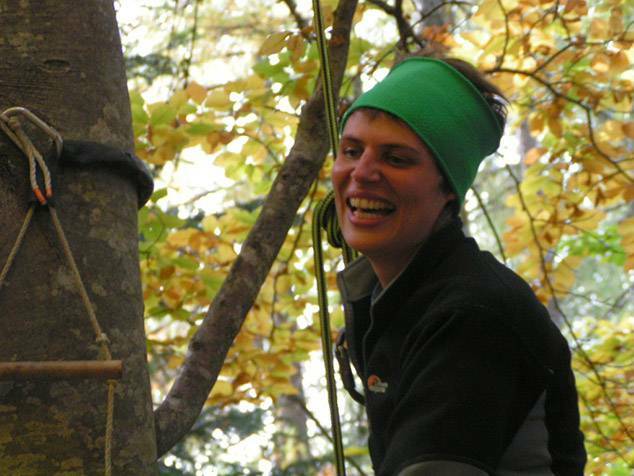 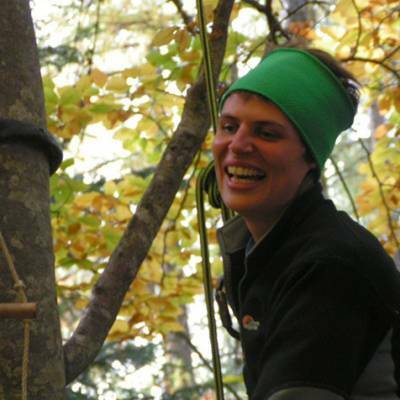 Tree climbing is very different to high ropes adventure but they are often confused! 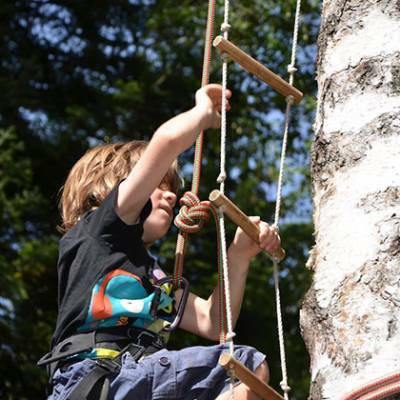 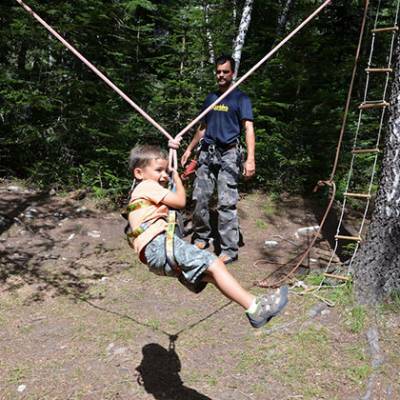 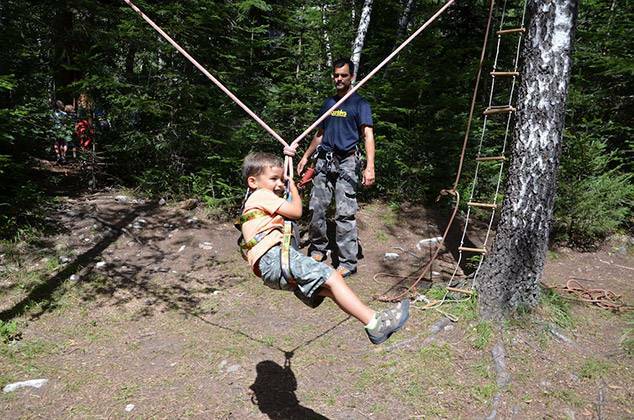 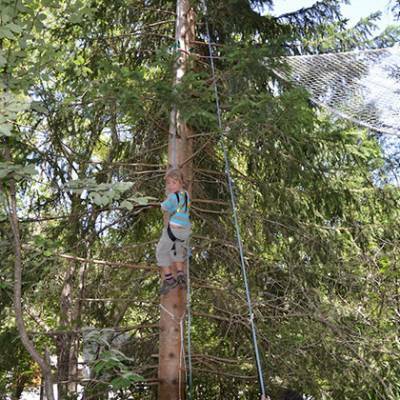 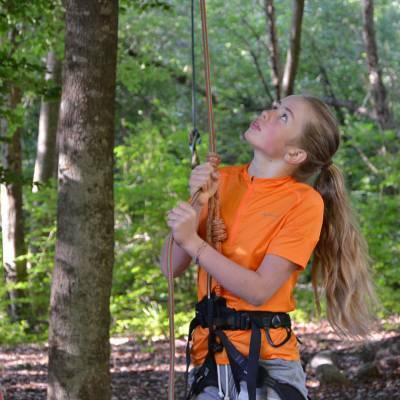 High ropes adventure courses are obstacle courses with rope bridges, tarzan swings, spider nets and other challenges set up in the trees at various heights on a permanent basis. 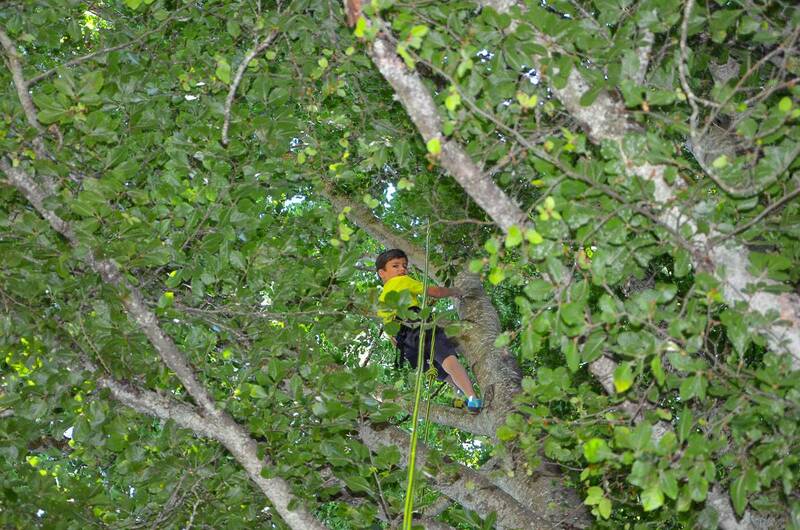 Tree climbing is exactly that, climbing trees, just as you did when you were a kid. 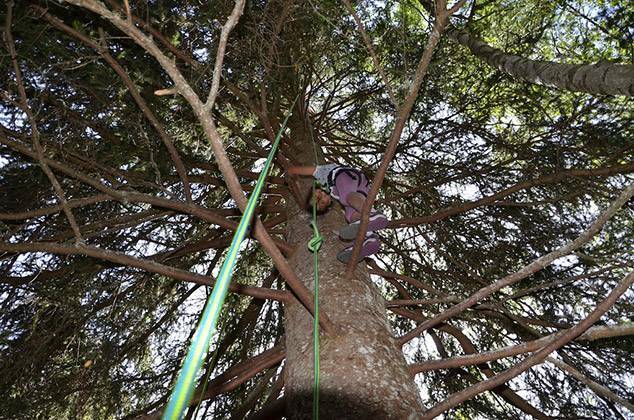 This time, however you are roped up so can that much higher and tempt those tricky branches. 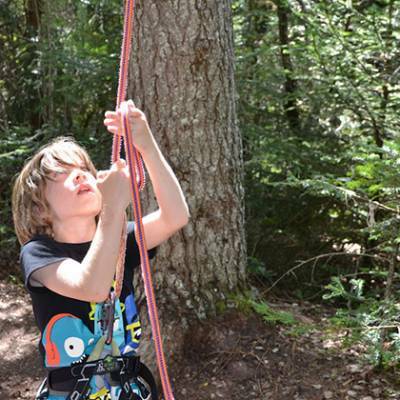 This activity is set up on the day you do it and the idea is to leave no trace in the woods. 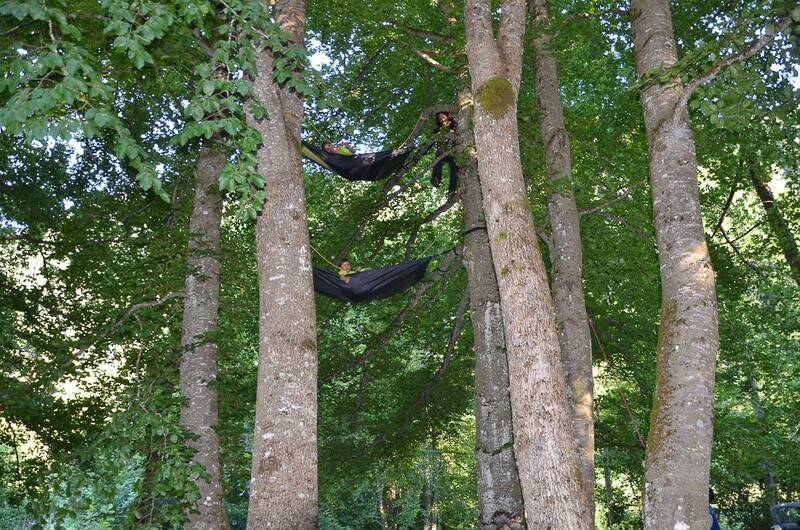 You come and enjoy the forest but leave it as you found it! 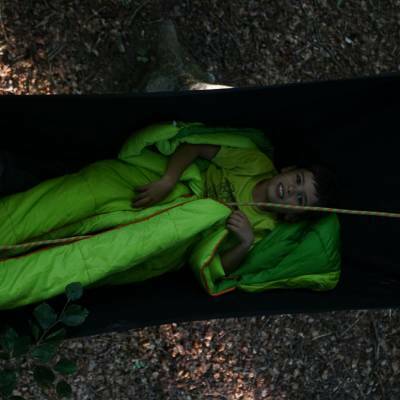 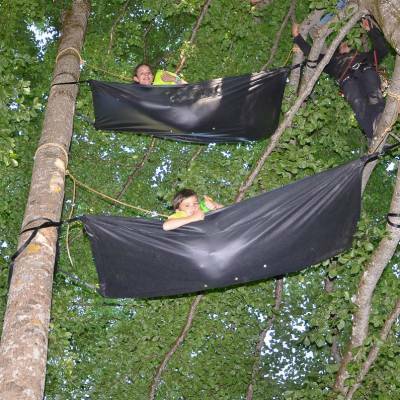 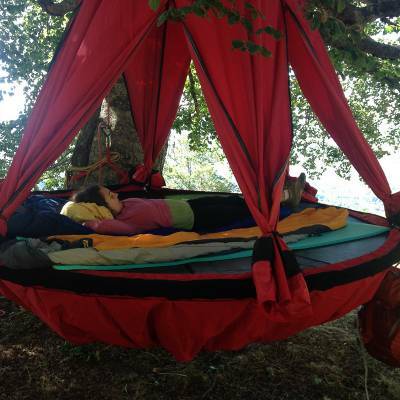 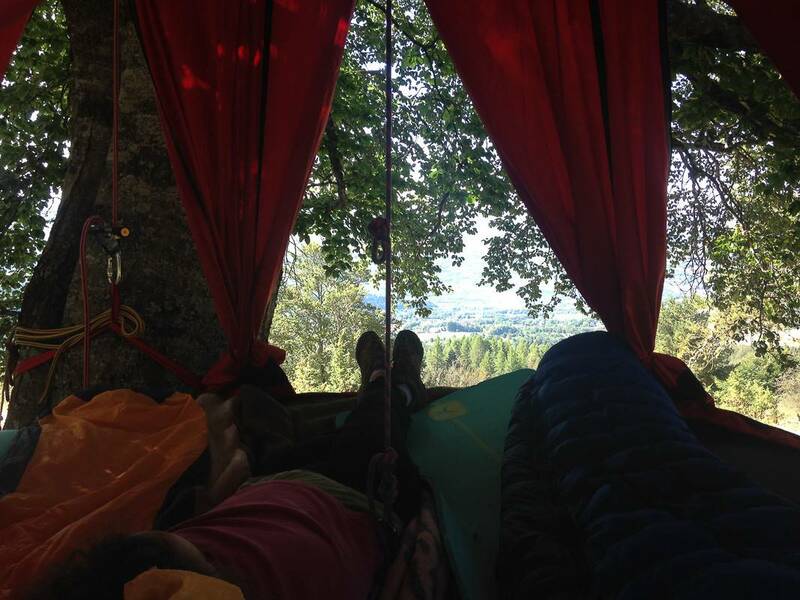 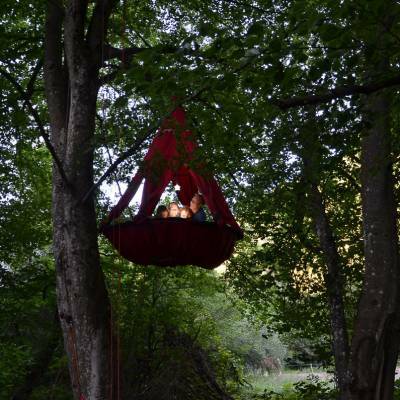 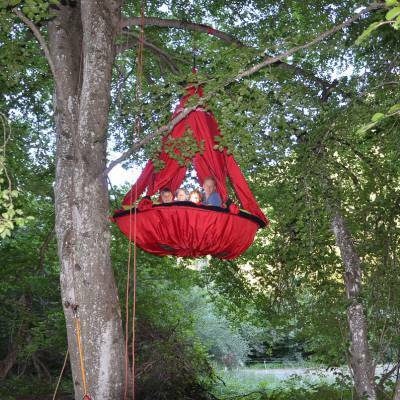 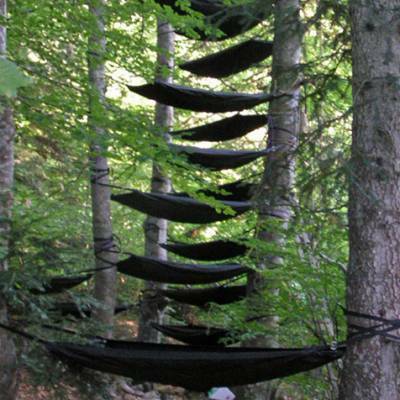 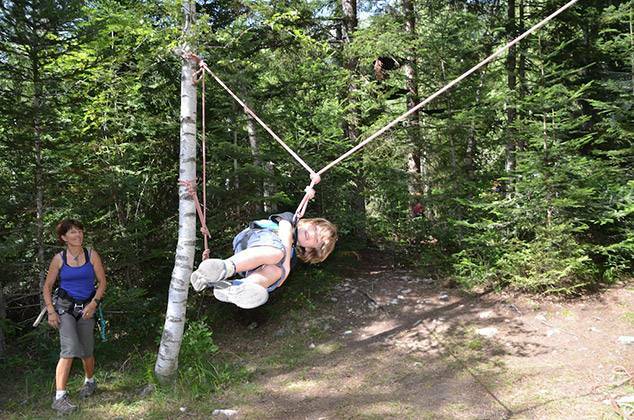 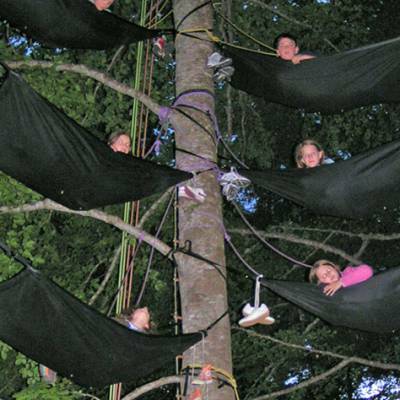 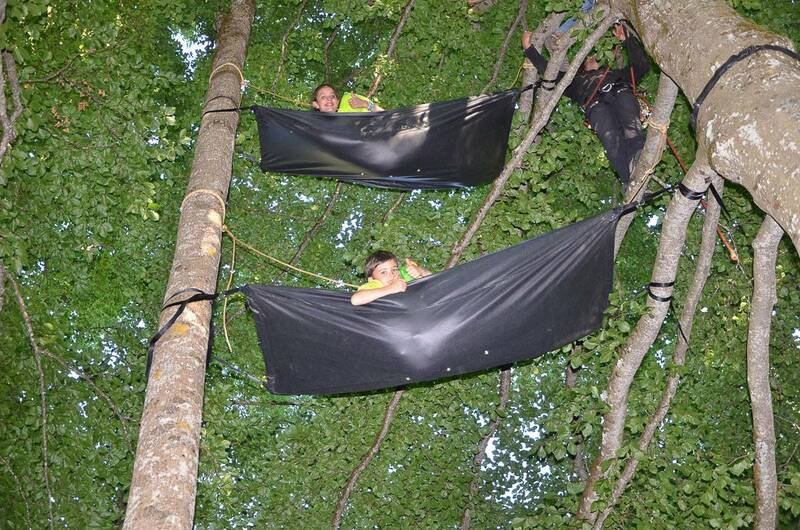 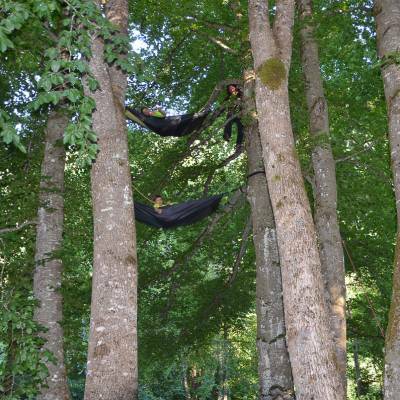 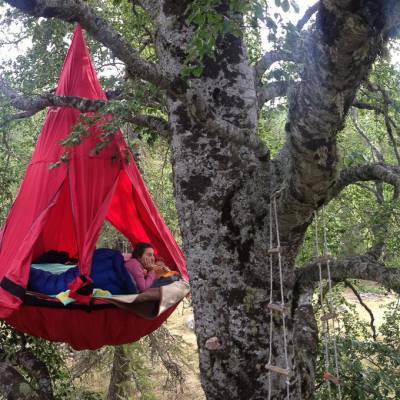 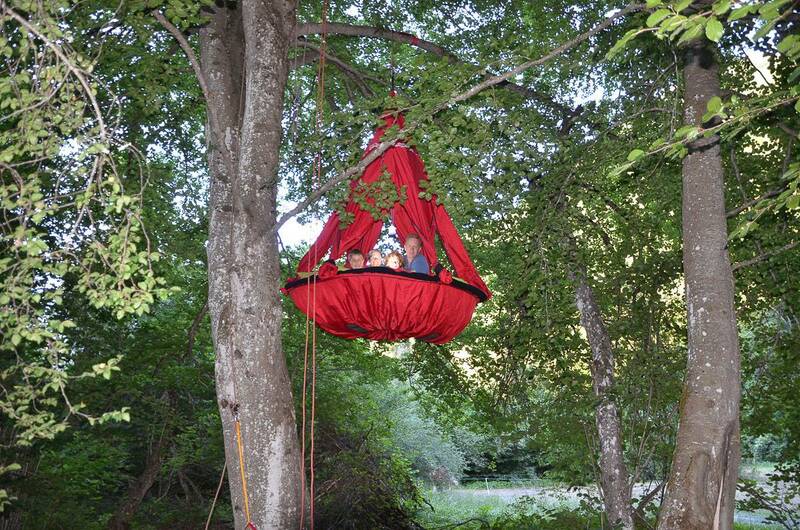 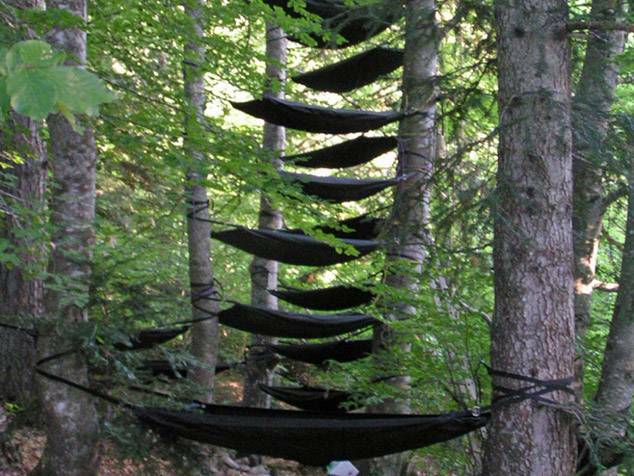 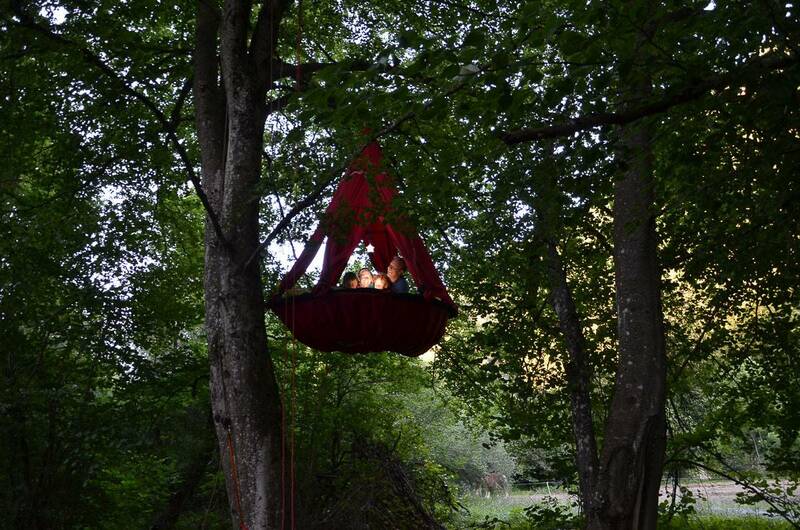 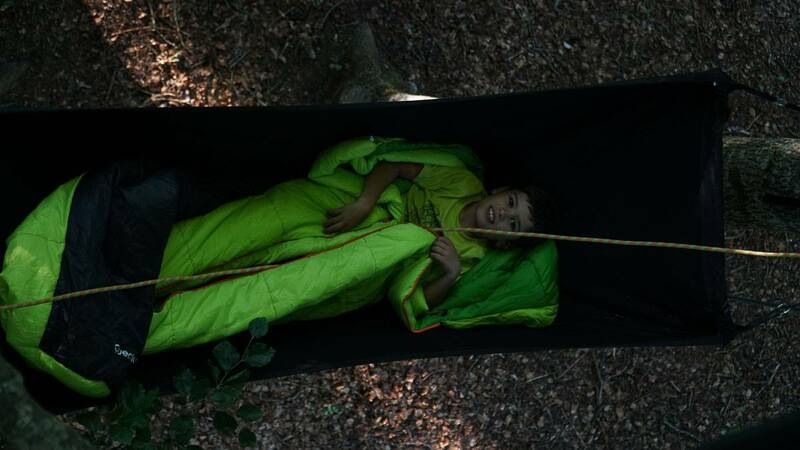 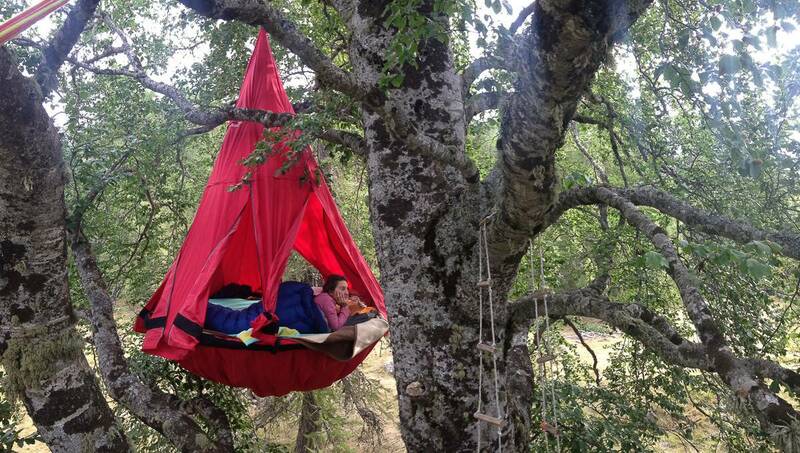 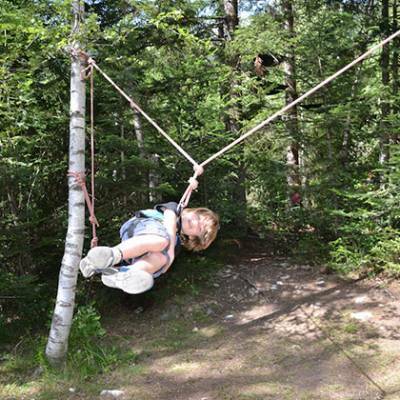 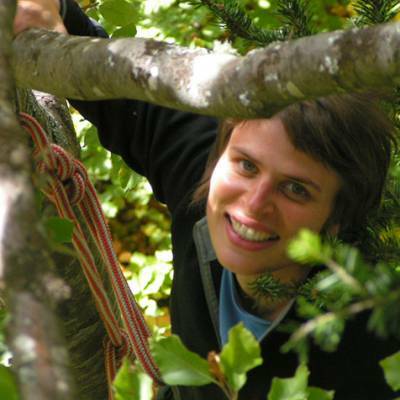 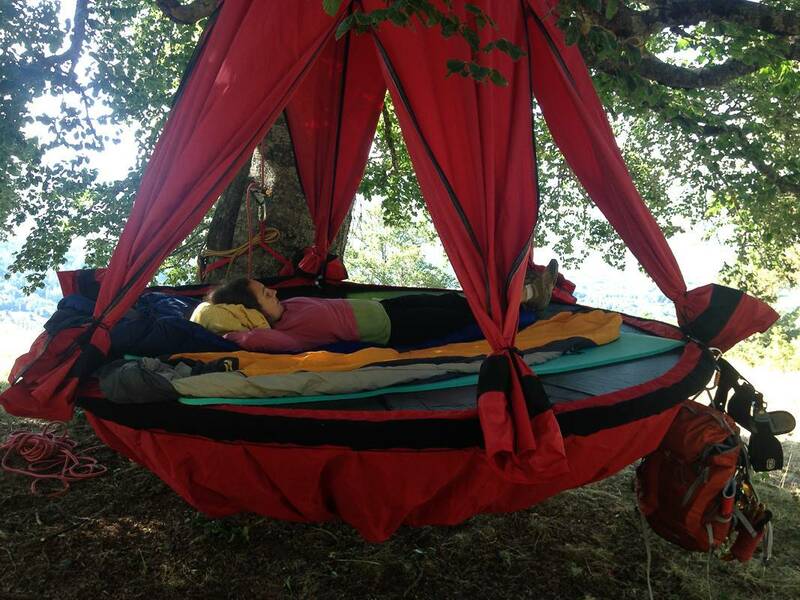 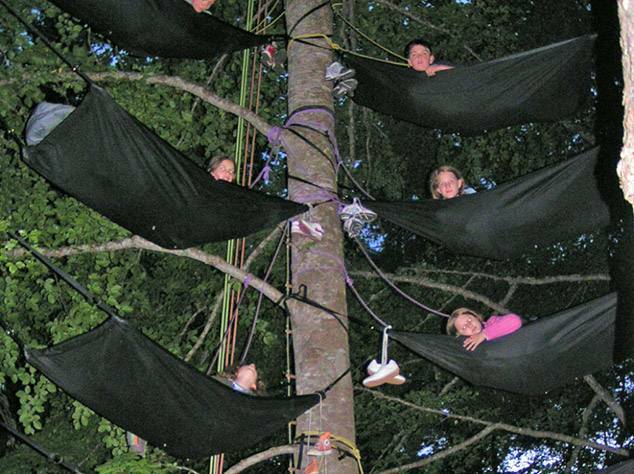 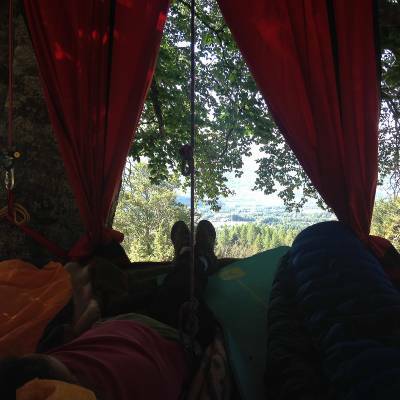 In the Alps, it is possible to add on a night in special tree hammocks to experience the alpine woods at night! 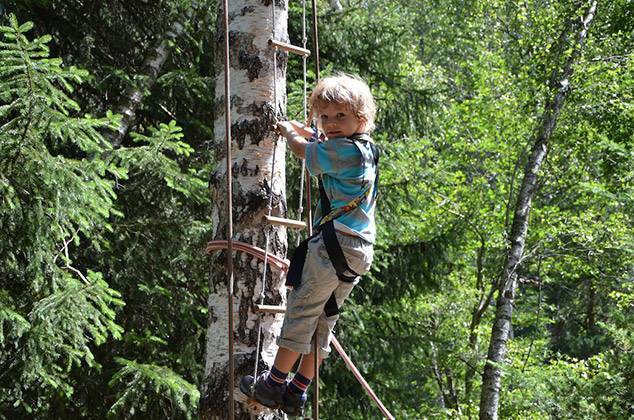 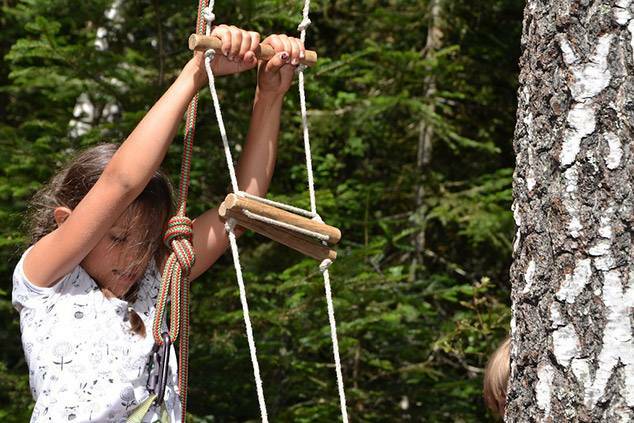 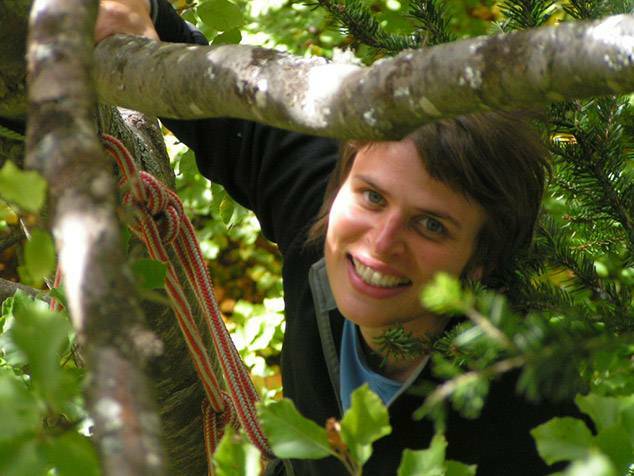 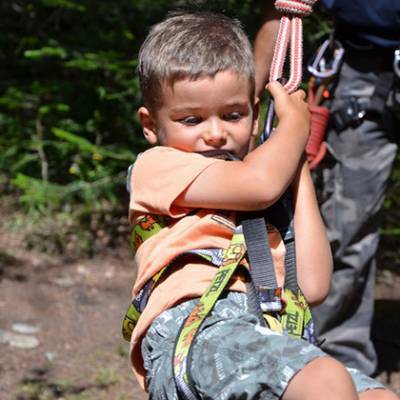 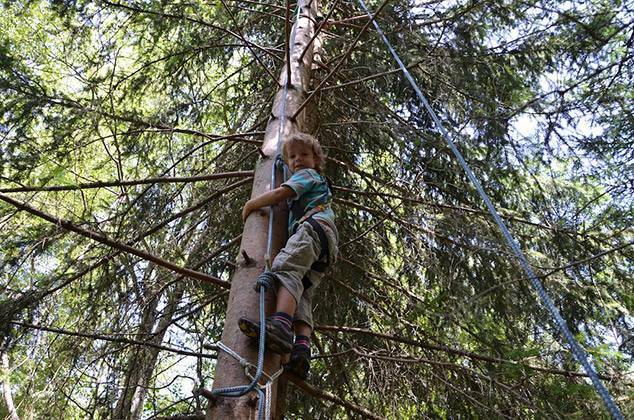 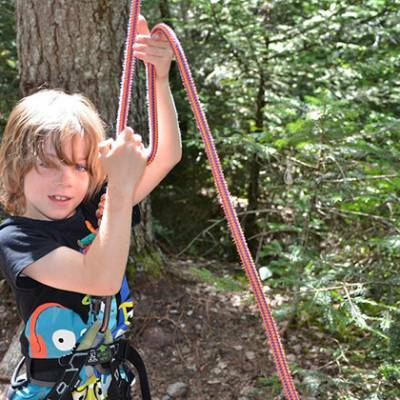 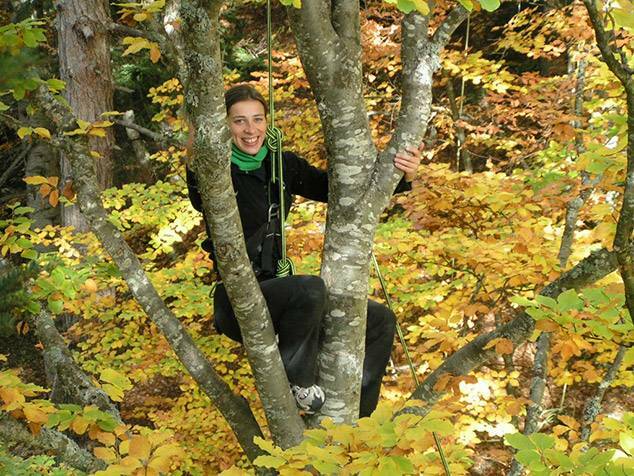 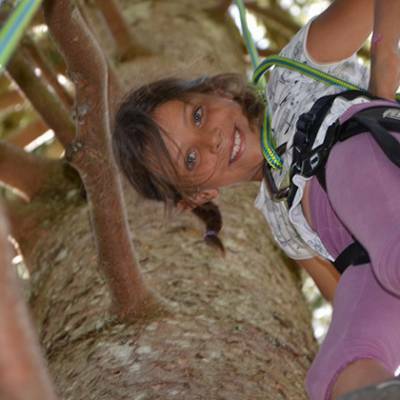 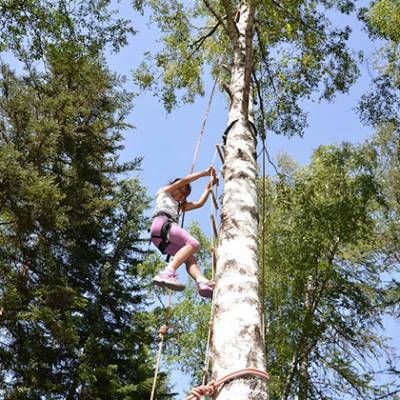 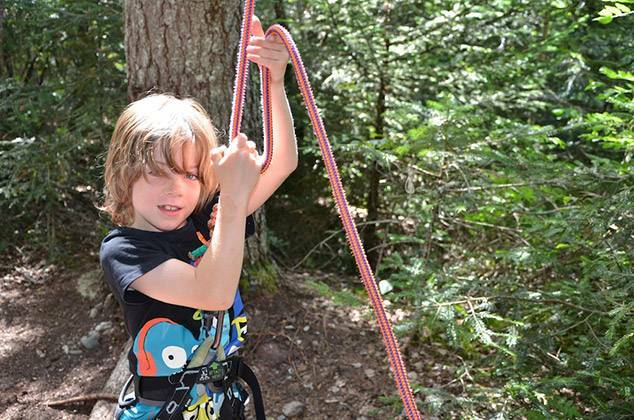 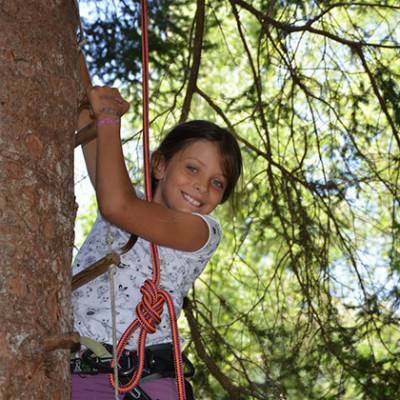 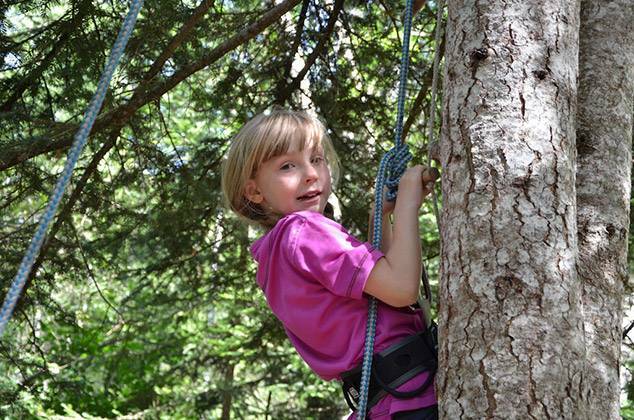 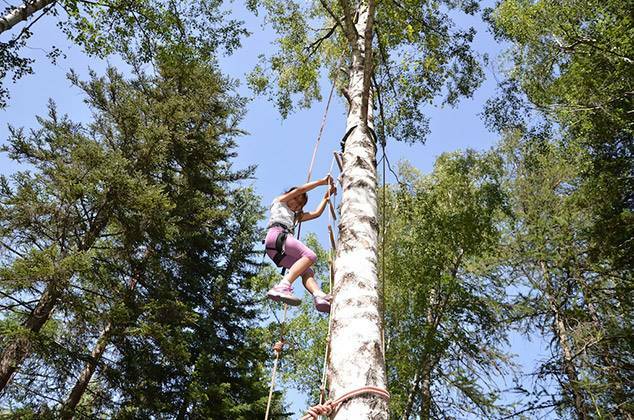 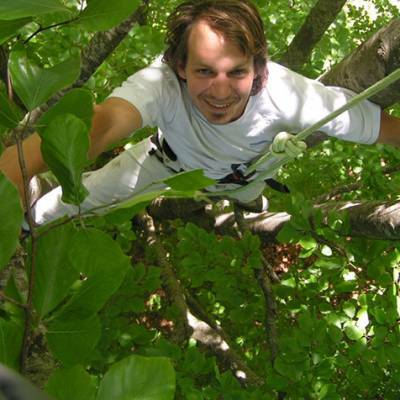 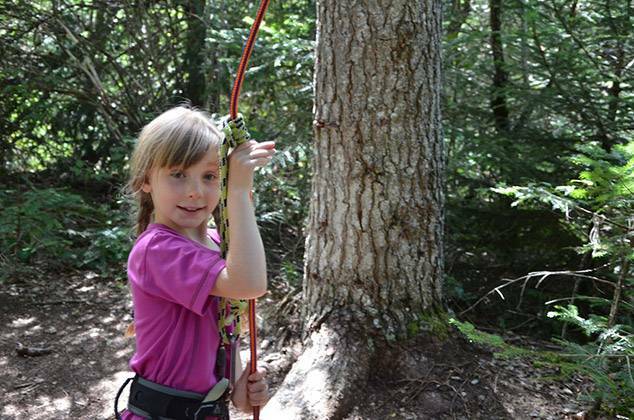 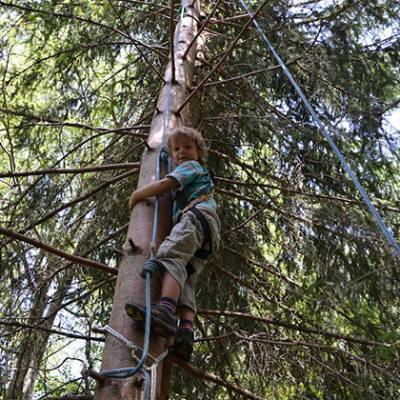 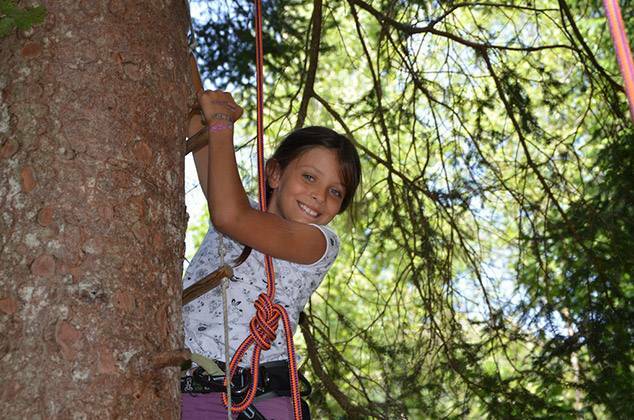 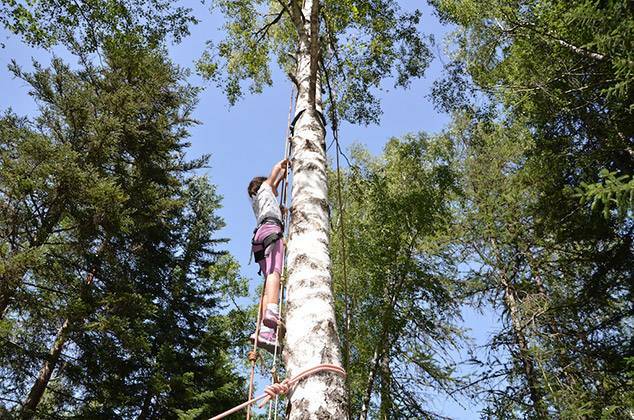 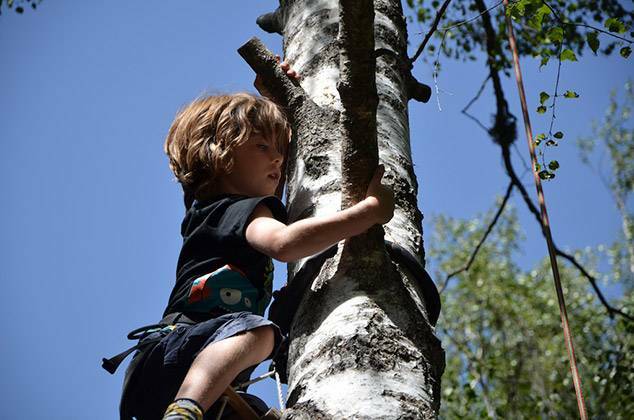 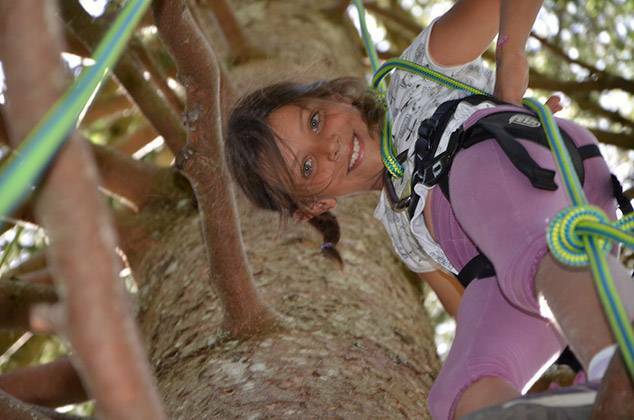 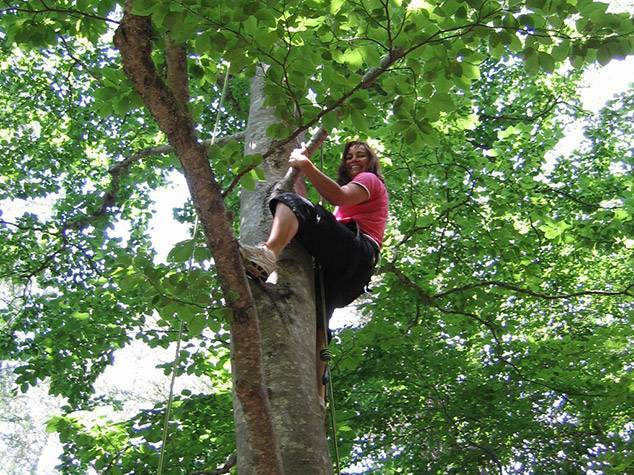 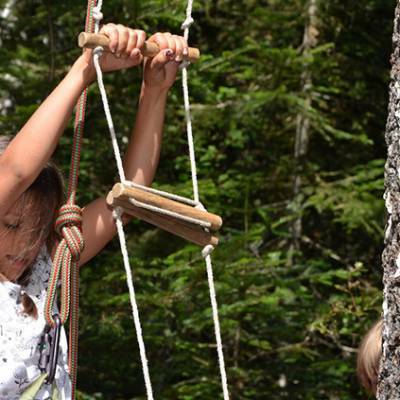 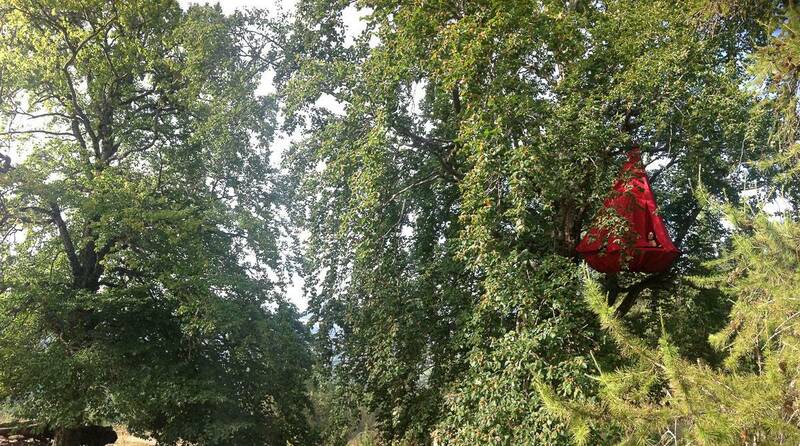 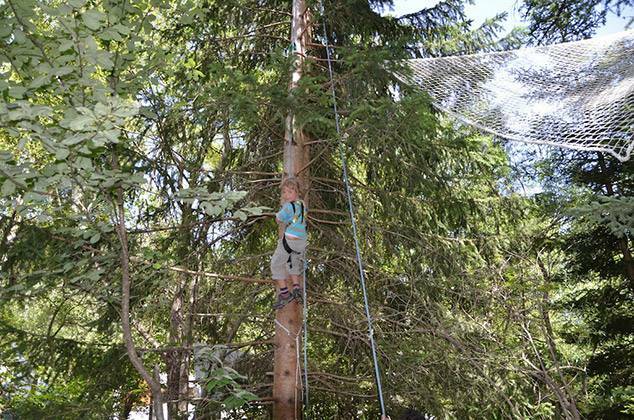 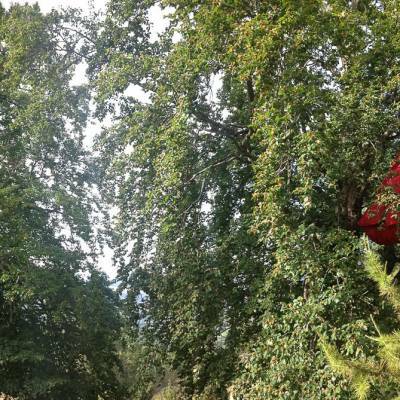 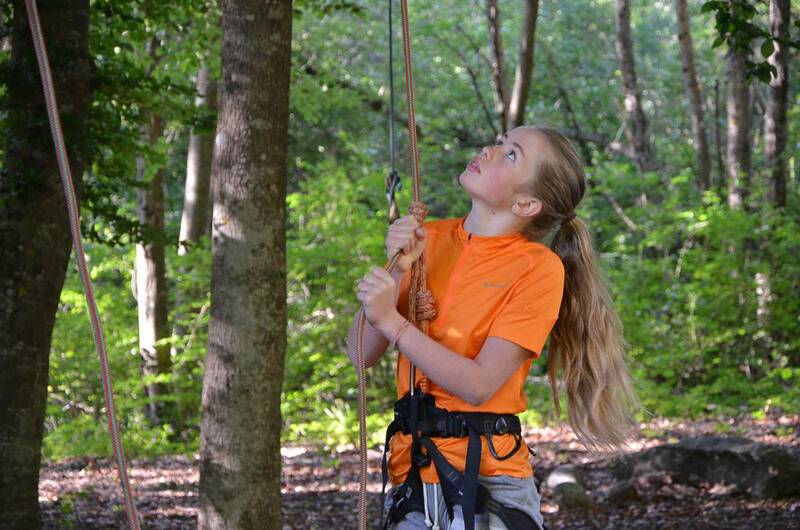 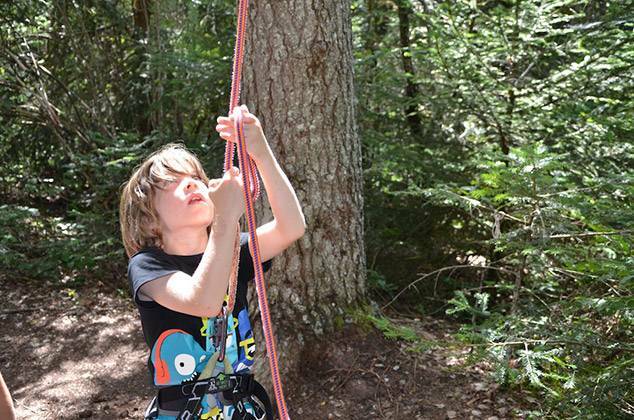 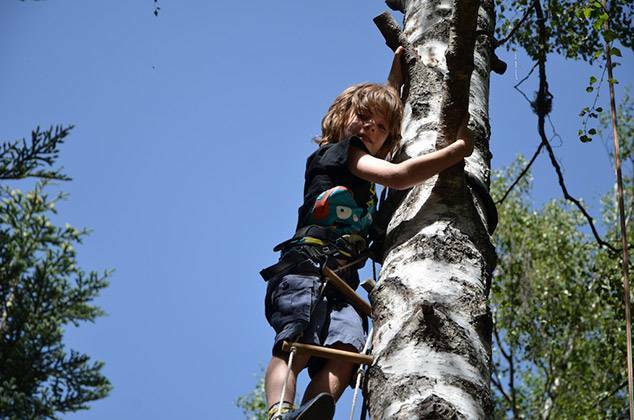 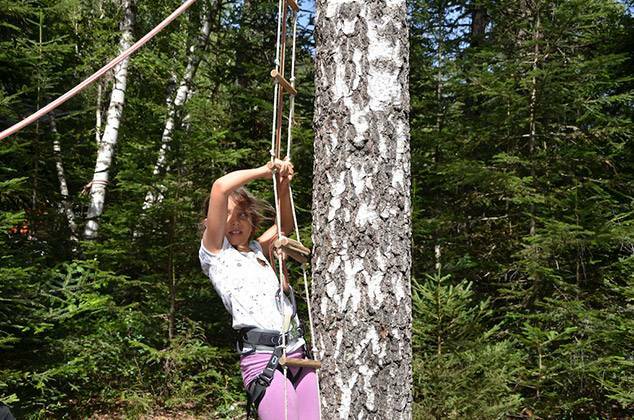 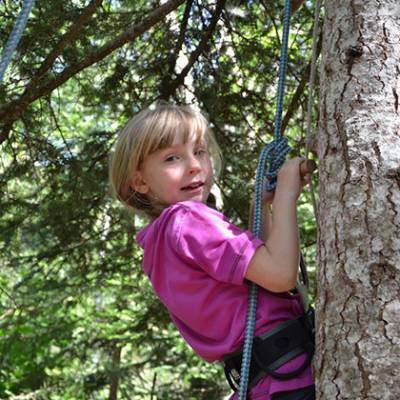 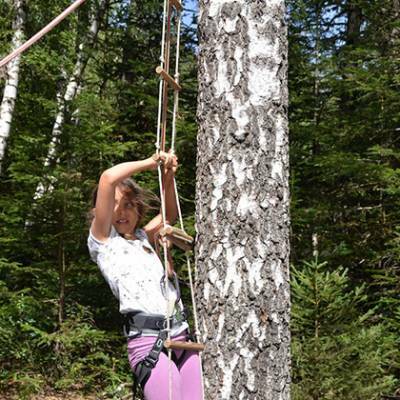 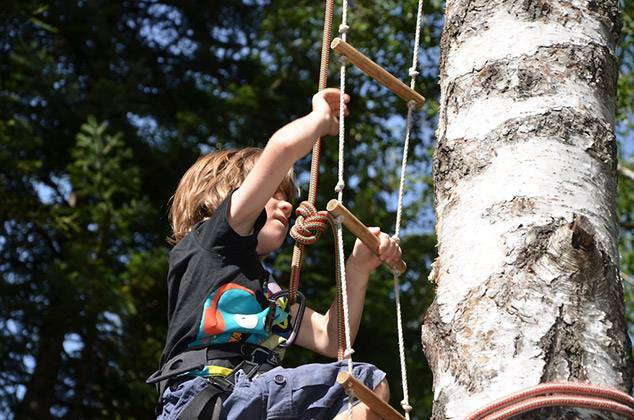 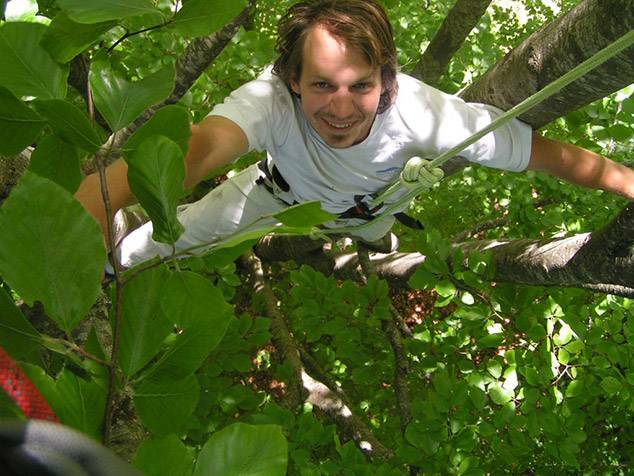 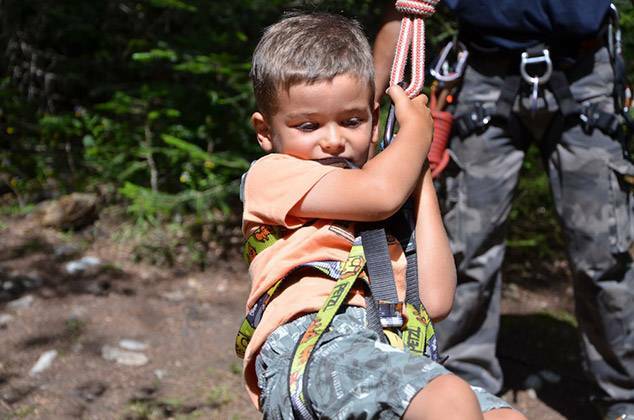 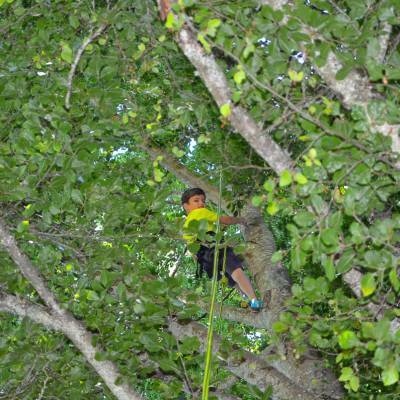 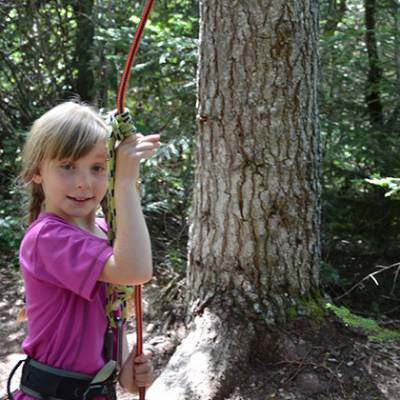 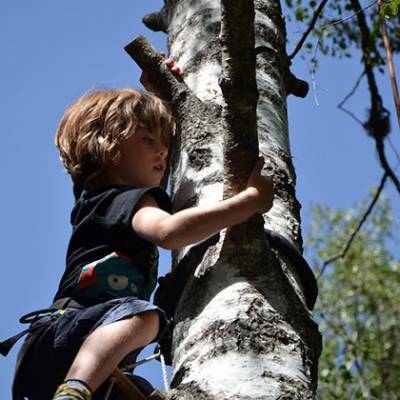 Read more about tree climbing in our blog article!